Transparent Labeling – Is your Bottle Ready? Take a look at the food manufacturing successes today and you will see that the trend towards clean and natural ingredients is leading the pack. Today’s consumer wants to know exactly what they are ingesting and they don’t want to have any hidden ingredients lurking in the shadows. Transparency in the food and drink industry is the buzzword and not surprisingly, it is spilling over into labeling as well. The idea of a transparent or “no look” label is actually fresh and cool, and having a clear label means the consumer sees more of what you want them to see – your product! If you went through the difficult process of creating the perfect brew, spirit, wine or soft drink, why wouldn’t you want to showcase it? If you are thinking about purchasing transparent labels for your next product run, there are quite a few considerations from choosing the right supplier to understanding the difficulties that may come with application. If this is the first time you will be using a transparent label, then it is best to go with an experienced supplier. They know what it takes to make sure the artwork clear and that the label will withstand its environmental conditions be they hot or cold. They will be able to recommend the proper adhesive for a smooth application. They will recommend sizing and placement, and they will produce a sample run so that you can practice the application process before taking on a large run. Clear labels look cool, but getting them to look like they seamlessly fit the glass can be a real challenge. Bubbles are the biggest problem and many obstacles can get in the way – dust and air being the leading culprits. Getting the best material with proper adhesive will go a long way in reducing these problems. A good supplier can also counsel you on your application process to help you determine what will be the best solution for you. Clear labels do not come without application challenges, so working with the right supplier that can alert you to the problems and help you avoid some will prove invaluable in achieving that “no label” look. Looking for a New Label Supplier? If so, Flexo-Graphics is a great partner to choose. We offer a variety of label solutions for different label applications and provide a great selection of product labels, among other benefits. To learn how we can use our special expertise to create precisely the type of labels you need, please call us today at (262) 790-2740, or feel free to fill out our contact form. https://flexo-graphics.com/wp-content/uploads/Transparent-labels.png 1000 1000 fgadmin /wp-content/uploads/flexologoOLG.jpeg fgadmin2018-04-27 19:22:472018-04-30 20:25:06Transparent Labeling – Is your Bottle Ready? Buying Labels Online – Is it Really the Smartest Decision? Speed and efficiency are typical indicators of a strong and thriving business. When a business can get a product to market faster and more efficiently, they often beat out the competition. These traits are fantastic for production, and choosing the fastest and most efficient option usually makes sense, but what happens when the fastest choice doesn’t deliver the best thing for your product? 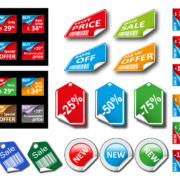 Many companies in a rush to get their product to market will purchase what they believe to be an inexpensive stock label. What they don’t realize is the cost of getting the wrong label. Experienced Label Designer – Getting an experienced label designer will help you avoid making mistakes. They know what questions to ask and they have the answers. They understand the processing time, manage your expectations, and will deliver on time. Custom Materials and Specifications – What happens when your product doesn’t meet the “one size fits all” model of most label templates. Do they have a material that meets harsh environments? One that won’t peel when it gets wet? Will the bar code stay in place for the shelf life? Material and specs are critical when determining the duration of the label. Mock Up Sample and Approval Before Production – Seeing is believing. With an online ordering service, will you actually get a sample to try out before you make a large order? Getting a sample to approve before production can save time and money. Never underestimate the value that experience brings to production. Every company has stumbled along the way to success and through that has discovered the best way to deliver their goods. An experienced labeling company will have worked through plenty of unique and custom situations to be able to get you the exact label you need. They will not only ask the right questions; they will have the right answers. Are you Looking for a New Label Supplier? If so, Flexo-Graphics is your ideal destination. We offer a variety of label solutions for different label applications and provide a great selection of product labels, among other benefits. To learn how we can use our special expertise to create precisely the type of labels you need, please call us today at (262) 790-2740, or feel free to fill out our contact form. https://flexo-graphics.com/wp-content/uploads/peel-and-stick-labels.png 1126 1688 fgadmin /wp-content/uploads/flexologoOLG.jpeg fgadmin2018-04-13 18:19:412018-04-19 18:35:14Buying Labels Online – Is it Really the Smartest Decision? 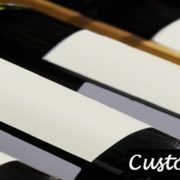 The surge of custom labeling designs is hard to miss, whether you are a large or small wine and spirit manufacturer. Many companies have begun to add a little personalization to their wine and spirit labels. 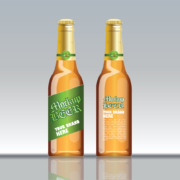 For example, if introducing a special lot of a product, then custom designs consisting of a lot count for the bottles would definitely be a good idea. Personalized labels celebrating the anniversary of your company are another great way to successfully gain more attention. This type of customization draws customers to your product, as it delivers the perception of a unique, one of a kind find. The other significant change in this market has been the use of high-end graphics on each product. These have become a real eye catcher thanks to the use of advanced digital technologies. With the right provider, you can pretty much create any imagined wine and spirit labels to better reach consumers. There is an infinite list of companies who have used their own custom, high-end graphic designs for products. If you have not considered one or multiple short runs for wine and spirit labels, then it is time! Why Custom Wine and Spirit Labels? Personalized labels are a driving factor in what product consumers decide to purchase. If you use a bright label with attention grabbing graphics, then it is definitely going to be in the customer’s line of sight. Word play, custom lots, short run labels, and alternative techniques all have their place in this area of marketing. Many consumers now desire products that have prestige and are exclusive. The best way to further market your product is to use custom wine and spirit labels, which make it special in the eyes of the buyer. This could be lot numbering so that it is only available in a limited quantity batch or to use the label to convey an individualized experience. A large number of customers today desire to spend their money on a product capable of delivering a specific experience rather than a simple object. Custom wine and spirit labels make it easier to do so. At Flexo-Graphics, we understand the importance of creating the right label for these products. We offer the latest high-end graphics technologies and techniques. If you have a design or need help in creating one, our team has over 30 years of experience in the business. Contact our wine label experts today to see what we can do to make your product stand out from the rest!